Apart from being a boxing studio for personal training and fitness, we also offer our studio for hire to do filming, documentaries, movies and television shows. In the past television shows like "Ch 9 News, KO Boxing Show, Coxy’s Big Break, and Counter Play" have used the studio, so we know how to cater for cast and crew. The new look Fitness Ring is fully equipped and experienced to accommodate any manner of filming. We know you'll love the unique look and atmosphere you can't find anywhere else in Melbourne. Yes! You bring the crew and we’ll deliver the location, lighting and access to one of Melbourne’s most accessible and friendly boxing gyms to film your next commercial or film. Actually it’s rated one of the top 10 boxing gyms in Melbourne but it is probably one of the most filmed in gyms to-date. Tonia and Nick are not shy, they have opened their doors to “Coxy’s Big Break”, “The Morning Show”, "Today Show”, Dusty Martin and Seb Costello to film, be photographed and train. The Fitness Ring is a great studio to film in! Small and moody with old school brick walls, classic fight posters and all the equipment that a boxing gym needs makes the perfect backdrop for your next fitness commercial or back ally boxing gym in a major or short film or even music video. It's Like a Movie Set 24/7. 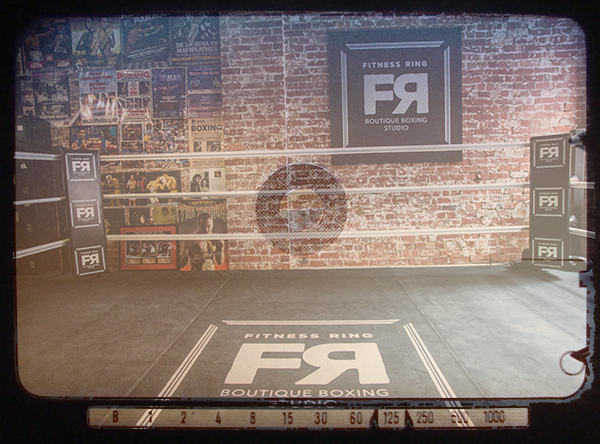 Time to step up your video with the best boxing ring location - The Fitness ring. All actors and models need are great settings to get into character and this is exactly the premise behind our boutique studio. Located in trendy Richmond, we are situated in the back of a stunning double story heritage building. There is ample street parking and public transportation at our door step. Our boutique boxing studio has character. It's personal, an authentic place, so whatever your goal, this is where you can knuckle down make your champion video of film. Fully equipped with a change room, boxing ring, boxing bags, and much more ... It's all here ... There is no need to stress. The fitness ring has training hours top and tail of each day so you can get 4-5 hour of filming or photography and forget the weather conditions, everything is at your fingertips. It's your world to film, push actors, get the best from your extras,bring your cast, have fun and build your vision with confidence and strength of character. In January of 2019 we needed a location for a photographic shoot featuring Richmond football star Dustin Martin. When we stumbled upon photos of The Fitness Ring online, we were immediately excited that we had, “found our location”. Tonia and the team at The Fitness Ring could not have been more accommodating. They made their wonderful facility available for us to scout prior to our shoot and then again on our shoot day. Nothing was a problem and we were made to feel welcome from bump in to bump out. Coffee was on offer and the question, “do you guys need anything?” asked regularly. In addition, we felt we had all the space we needed to capture what exactly what we wanted and keep our talent happy, comfortable and in the right frame of mind to deliver a great performance. We were extremely happy with the results of our shoot as was our client. — Andy Gaunt. Two Tractors.